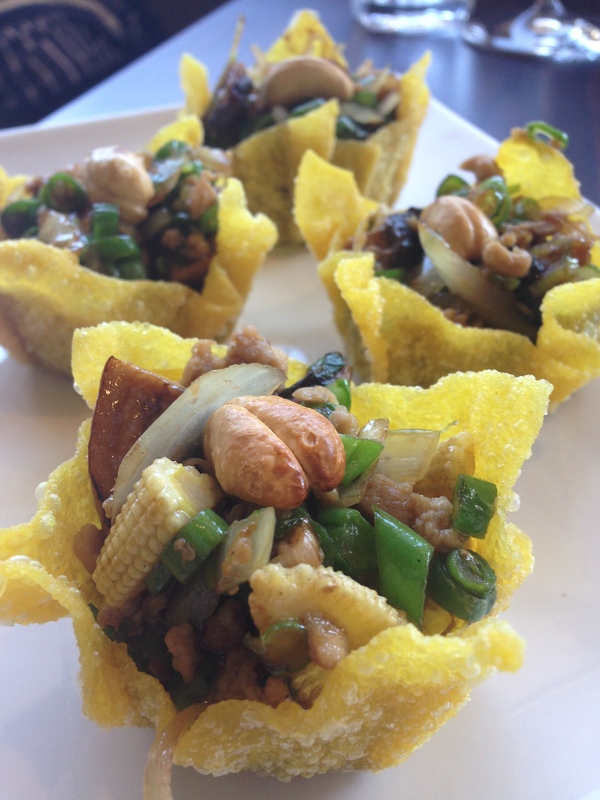 I really enjoyed my meals at Nu Thai recently. Formally in Gouger Street Adelaide, it has has now moved around the corner to a light and spacious location on Morphett Street. This was my second visit at the new location. Size wise, the menu isn’t too overwhelming and the quality of the food overall is very good – decent sized servings and not padded out with too much onion or carrot as you sometimes see. The staff were friendly and genuinely looked happy to be there. I recommend the Golden Cups – they were super crispy with a tasty filling. Not something I would normally order but my friend was keen. I also loved the Beef Basil, the Pepper and Garlic Seafood and Grandma’s Pork. Everything’s beautifully presented, as you can see from the pics! My only criticism is that the food is a little on the sweet side, but some like it that way, and it certainly didn’t lessen my enjoyment of my meals.